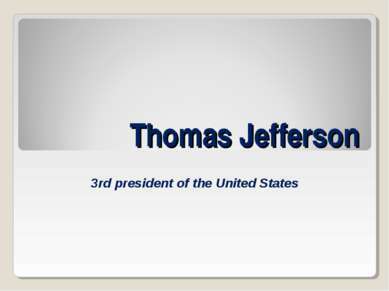 Thomas Jefferson Thomas Jefferson was the author of the Declaration of Independence, a principal leader in the American Revolution, and the third president of the United States. 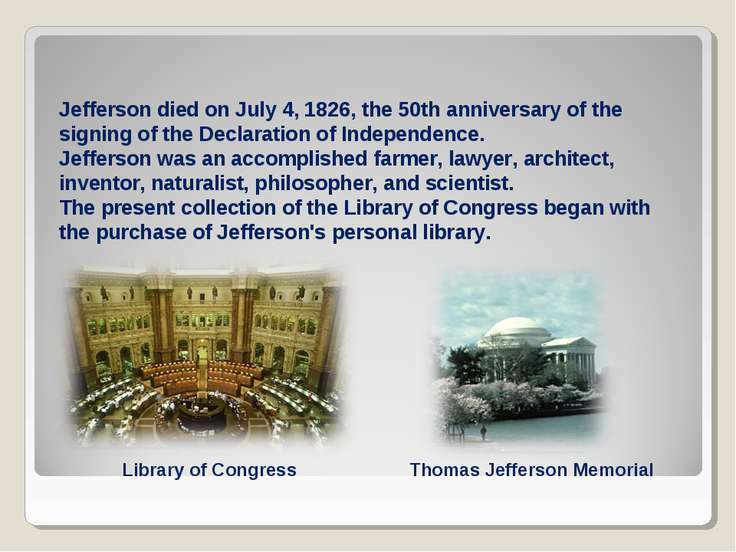 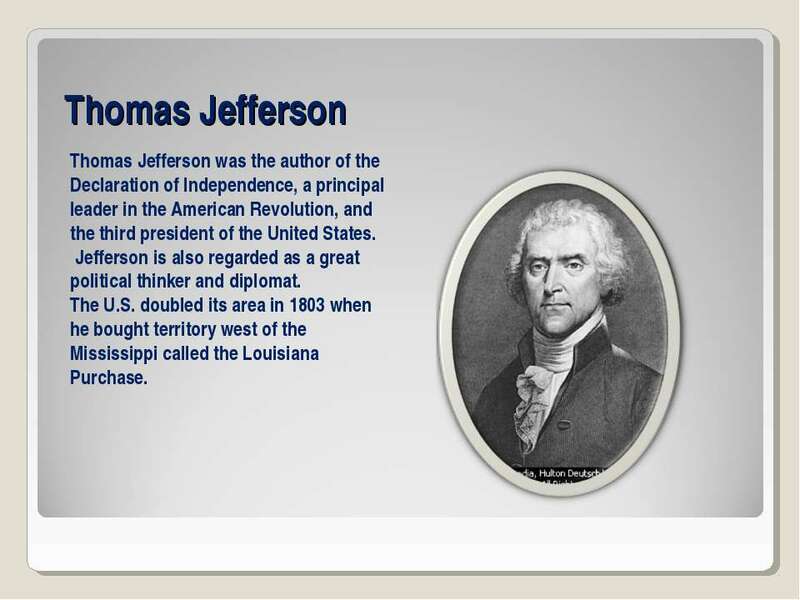 Jefferson is also regarded as a great political thinker and diplomat. The U.S. doubled its area in 1803 when he bought territory west of the Mississippi called the Louisiana Purchase. 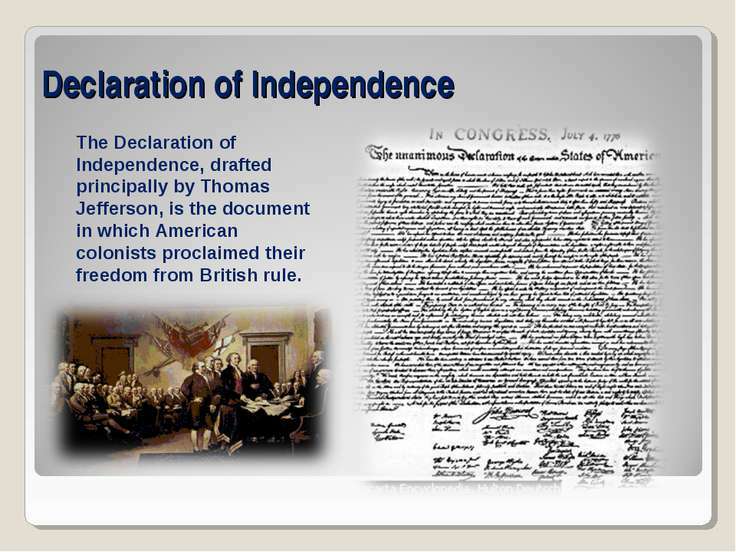 Declaration of Independence The Declaration of Independence, drafted principally by Thomas Jefferson, is the document in which American colonists proclaimed their freedom from British rule. Louisiana Purchase In 1803 United States President Thomas Jefferson paid Napoleon Bonaparte of France $15 million for about 2.1 million sq km (about 800,000 sq mi) of land west of the Mississippi River. 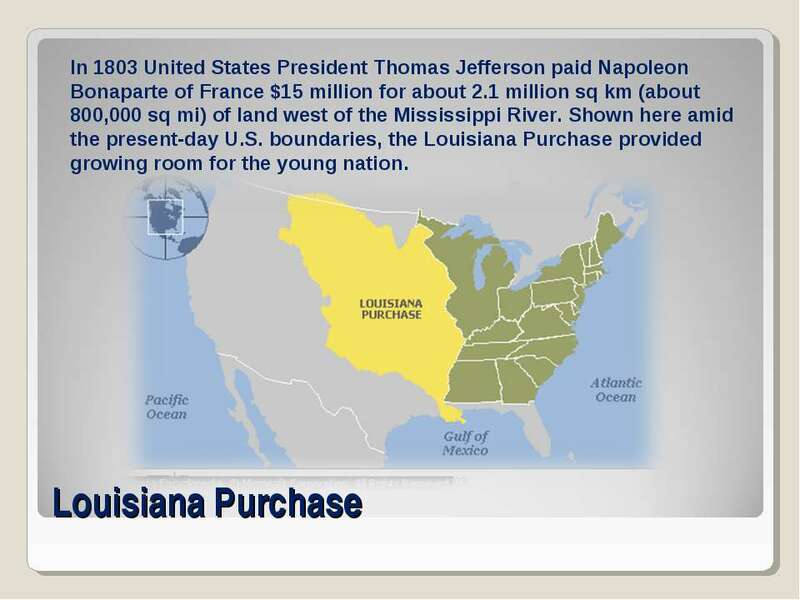 Shown here amid the present-day U.S. boundaries, the Louisiana Purchase provided growing room for the young nation. Thomas Jefferson’s Residence Thomas Jefferson designed his mansion, Monticello, in 1770 and completed it in 1809. The Albemarle, Virginia, estate has 35 rooms and includes Greek and Roman architectural details. 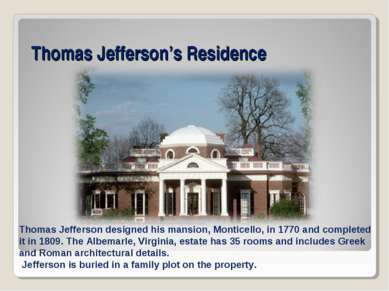 Jefferson is buried in a family plot on the property.